Dissertations are generally written at University, and will make up the majority of your final degree grade. Although all dissertation briefs will be varied dependent on the institute they are being written for, the field that they are focusing on, and many other factors. Here are a few general tips for getting yourself started on writing your dissertation. Firstly, it is important to spend as much time as possible in deciding what topic you want to write about or what question you want to answer within your work. As this is likely to be a large piece of work that you will spend a significant amount of time researching and writing. You should choose something that not only fits the brief given to you, but that you also take an interest in. This will make the work more enjoyable to research and produce, and will hopefully benefit you in completing it with the possibility of addressing why you have such an interest in that particular topic. Secondly, the most important element of the process of preparing a dissertation is the research. You should spend the majority of your preparation time focusing on researching your topic. Before carrying out your research, it is advisable to have a clear picture in your mind of what you are setting out to find, as most topics will have a large number of pieces of research dedicated to them. Thirdly, you need to plan your work. This is when you can determine what elements from your research surrounding the topic you want to write about and how you want to include them. Use your research to decide what content you want to include, and then decide how you want to structure this within your dissertation. Often the institute who has set the work will have provided you with a set of criteria regarding what they want included, information on how the work should be structured, and what criteria will achieve you the highest marks. It is always a good idea, especially with such a large piece of work, to write out a plan. This helps to prevent you from going off topic and will keep the work structured. The fourth part of the process is the hardest part – writing the final piece of work. All dissertation briefs will be different, but usually they will require you to include a literature review and a research proposal. This is where your research will come into use. For the literature review, you will be able to discuss and analyse what research has been done on your chosen topic and what impact this may have had. For the research proposal, the purpose of this is to determine a gap in the knowledge on a specific topic and to suggest a piece of research that could be carried out. This must be written in great detail, discussing exactly how the research would be carried out. Try not to drift too far from your plan – keep it by your side when writing, this will make sure your work is going in the direction you intended. The final thing you need to do is to proofread your work. As previously mentioned, proofreading is a very important part of producing any piece of academic work, but with a dissertation this is even more important. Due to it being such a large piece of work, it may be a good idea to either proofread in small sections at a time, or to outsource your proofreading to a willing friend or family member, or to use a professional proofreading company. 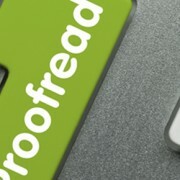 At Proof Right we offer a professional dissertation proofreading service. We are able to ensure that your work is not only free from spelling mistakes and grammatical errors but we also check syntax, sentence structure and are able to recommend improvements and suggestions that are relevant to your work. We also as part of our standard proofreading service recommend content improvement suggestions and we will also check that your tables and footnotes are accurate and consistent with your bibliography. To obtain an instant quote for us to proofread your work, visit the ‘Order’ page and select the turnaround time you would prefer then follow the steps and upload your document.